Now at Nerd Block – DOCTOR WHO BLOCKS! We’re big fans of Nerd Block at GYGO, a better subscription box would be hard to find! 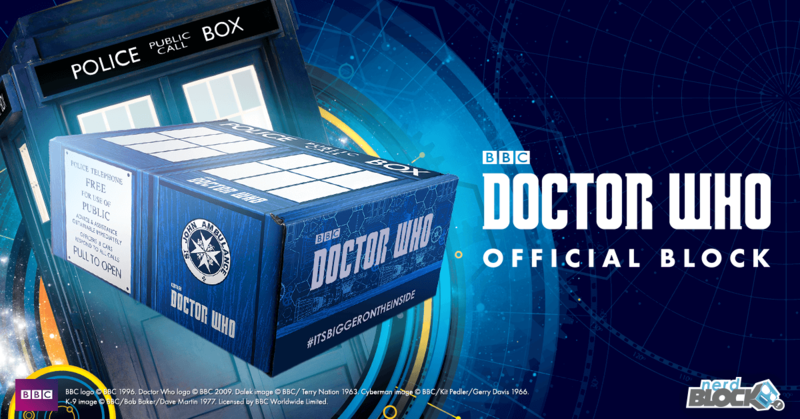 So that’s why we’re hugely excited to hear about Nerdblock partnering with the BBC to create the Doctor Who Official Block! Each block will be filled with officially licensed Doctor Who items and exclusive apparel on a bi monthly basis!